This summer, Ottawa area children will have a tremendous opportunity to learn from one of the NHL’s greatest skaters. 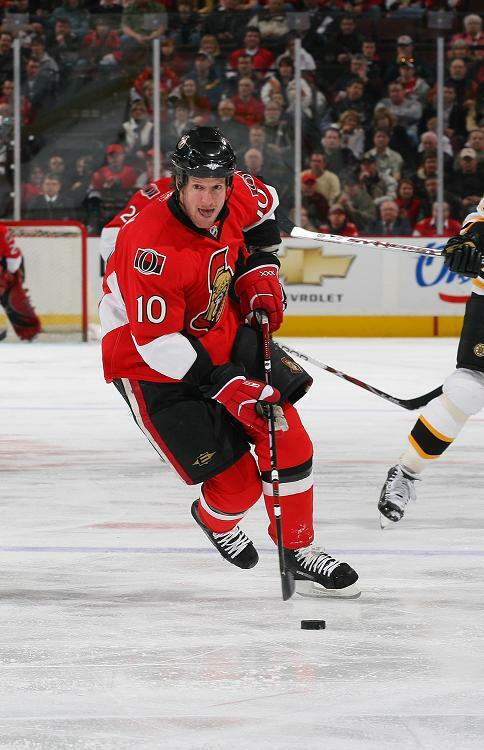 Former Ottawa Senators forward Shean Donovan will host a hockey camp for children ages 6 to 12, sharing the knowledge that helped him excel in the league for 15 seasons. The camp will focus on on-ice and off-ice training for Peewee and Bantam players, with two sessions in July at the Beckwith Recreation Complex in Carlton Place, Ontario. The first session runs from July 18th to the 22nd and the second session is July 25th to the 29th. When Donovan retired from the NHL last fall, he began assisting his friend and skating Coach Shawn Allard at Perfect Skating, helping to teach hockey players in the nation’s capital the benefits of proper skating techniques. He quickly discovered that he loved the challenge of teaching and sharing what he had learned as a professional hockey player. In getting his own hockey camp started, Donovan enlisted the help of a family member. His sister Shannon has worked with Hockey Canada, helping to grow the girls and women’s programs and her expertise has been a tremendous help to Shean. An important element when working with children is making the hockey camp a fun experience for all involved and Donovan has discovered that having fun is an important teaching technique. An important ingredient to his own success in the NHL, Donovan worked on his skating technique throughout his career. His speed was a valuable asset on the forecheck and combined with his love of the game, he dazzled opposing defenseman with his abilities. The summer hockey camps will also provide an opportunity to learn about off-ice training. Helping with that portion of the program is Ottawa Senators Strength and Conditioning Coach Chris Schwarz. The founder of FitQuest, Schwarz brings 19 years of experience to Donovan’s camp and he has created a program that will benefit the young hockey players, while keeping the overall focus on having fun. Team sports can also provide some important lessons that will stay with the children throughout their life. As Donovan learned in his career, when everyone is working together, great things can be achieved on and off the ice. Since making the decision to retire from professional hockey, Donovan has focused on the next phase of his life and making the transition to life after hockey. Unfortunately for Ottawa area hockey fans, the Senators did not re-sign the former Ottawa 67’s star during the off-season and like many veteran hockey players, he was still waiting on the sidelines for a contract offer when the season began. In November, the Anaheim Ducks were struggling and looking to shore up their third or fourth line by adding a veteran player. They offered Shean a tryout with their farm team in Syracuse but after arriving to work out with the Crunch, the proud father of four realized that his heart was still at home with his family. Originally drafted by the San Jose Sharks in the second round (28th overall) in the 1993 draft, Donovan played with the Sharks, the Colorado Avalanche, Atlanta Thrashers, Pittsburgh Penguins, Calgary Flames and Boston Bruins before joining the Senators for the start of the 2007-2008 season. He played an integral role in Calgary’s run to the Stanley Cup Final in 2004, one of many experiences and memories from his career that will stay with him. “I really enjoyed playing in all of the different cities too and making it to the Stanley Cup Final with Calgary in 2004. Although, that is kind of a bittersweet moment, not winning, but in the end going there was a great memory. I really enjoyed being able to finish my career in Ottawa too, a town that I wasn’t born in but grew up in, and had lots of friends and memories. Playing with the Ottawa Valley Titans and living in Carleton Place when I was younger, I had thought about coming to Ottawa as a free agent. It ended up happening through a trade and that was awesome. I really loved playing for the Senators." Another highlight in Shean’s career was representing Canada at the 1995 World Junior Championship and the 1997 World Championship. He is proud to have worn the national colours on the world stage, bringing home gold on both occasions. As a retired NHL player, Donovan has joined the ranks of “Hockey’s Greatest Family” - the NHL Alumni Association. In his new role as an ambassador for the game he loves, he can continue to share his passion for hockey while being active in the local community and raising much-needed funds for charity. This summer’s hockey camps will provide the next generation of hockey players an opportunity to learn many valuable lessons from one of the greatest skaters in the game while having fun at the same time.